Happy Earth Day Everybody! As part of contributing to Earth Day this year I was able to car pool to work this morning. I would have preferred to bike to work, but with the construction of the new bridge into Kelowna from the Westside it was not feasible at this time. 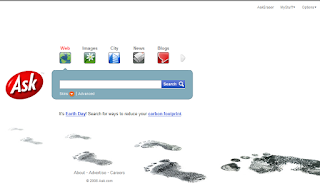 The search engines are celebrating Earth Day today as evident with their homepages. 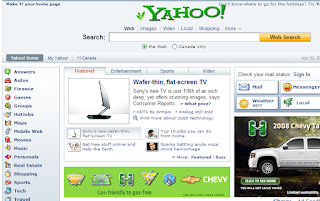 Considering Live Search look normal, the least Microsoft could do was to feature a green background on the MSN homepage.